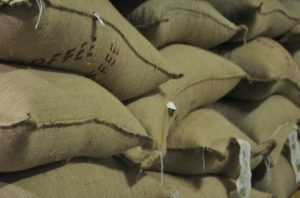 Warehousing conditions play a significant role in sustaining the quality of specialty green coffee. Air, light, odor, heat, and moisture can affect many high-value, sensitive goods, but are especially detrimental to raw coffee which can absorb elements from the external environment and ultimately impact quality in the final cup. In a booming $6 Billion specialty coffee industry, product quality is key to a successful brand. Inventories are stored on kiln-dried pallets to eliminate external environmental volatiles. 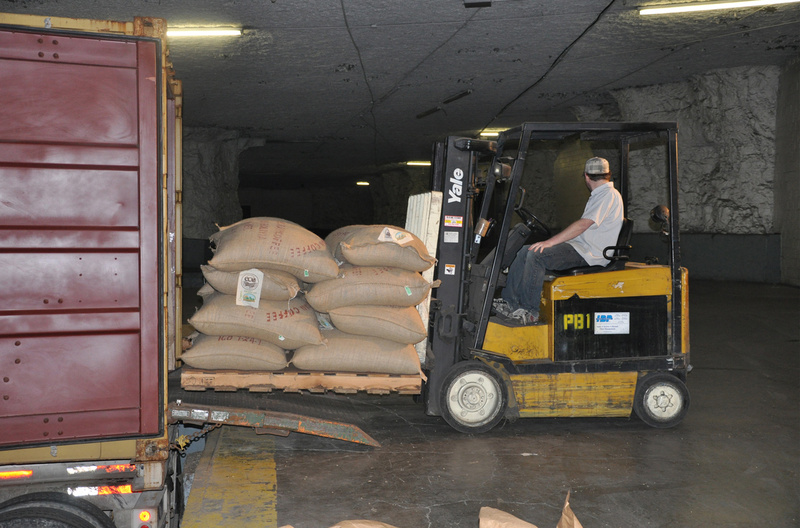 Shipments via rail or truck are loaded and unloaded underground. We periodically sample batches for quality assurance. Paris Brothers warehousing services operates the nations only inland, OCIA certified, climate-controlled green coffee warehousing facility. Humidity, light and temperature control allow us to create ideal conditions to protect against the enemies affecting product degradation. Our eco-friendly, underground storage requires up to 60% less operational energy, compared to above ground facilities. Our central location, in the geographic center of the United States, can provide strategic efficiencies in getting raw product distributed to throughout the country. Easy access to primary North/South and East/West shipping corridors, as well as direct access for truck and rail make going “underground” with your products an ideal scenario. Your inventory can be managed directly, and in real-time, through on-line web portal access. 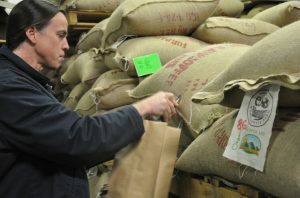 Our expertise in coffee, not only in storage but also roasting and production, means we can also provide periodic batch sampling and product testing on your behalf to validate product in inventory.